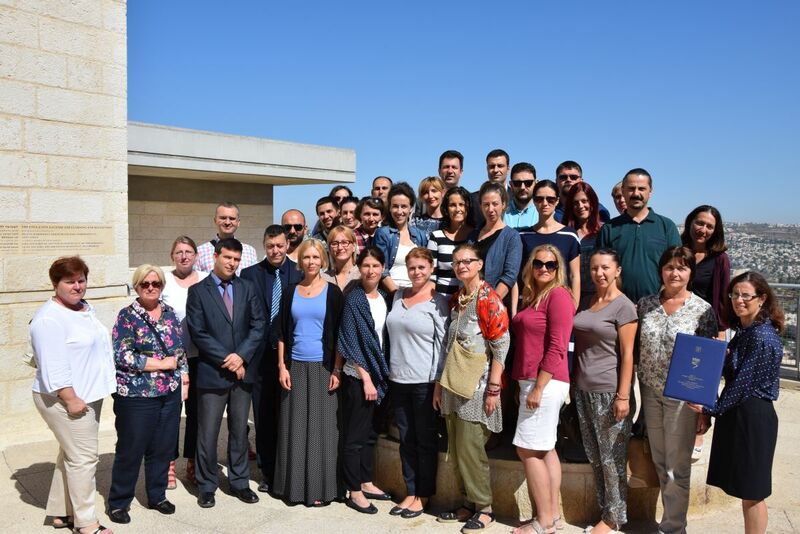 Organized by the International school of the Memorial Center “Yad Vashem” in Jerusalem the seminar on the Holocaust was executed from July 24 to July 31, 2017 for educators from the Republic of Serbia and Republika Srpska. This was the tenth annual seminar organized for the participants from Serbia (sixth for participants from Srpska) as „Seminar for Serbian Speaking Тeachers аnd Еducators“. Chargé d'affaires a.i. Dejan Blagiojevic participated the formal ending of the seminar on July 31 and has on the occasion in his address thanked the hosts for excellent organization and many years of successful cooperation. He has pointed out the importance of studying the Holocaust and preserving the remembrance of its victims, as well as passing on the knowledge to the next generations in which the educators are a key part.